Editor’s note: Janie Magruder, GCU’s former Communications Manager, was diagnosed with leukemia two years ago this month. Janie had chemotherapy and a bone marrow transplant, and although she never returned to work, she currently is cancer-free. Because Run to Fight Children’s Cancer is an event that was and is near to her heart, we asked her to write this story. By the time my husband and our three healthy boys moved into a house across the street from the Luttrell family in 1996, 8-year-old Jeff Luttrell already was in his second cancer battle. Diagnosed with leukemia shortly after the start of kindergarten, Jeff tried to do normal kid stuff — school, Boy Scouts, friends — but the cancer kept returning, to his spine, his head, his eyes and, eventually, back to his blood. Jeff’s parents, Patti and Steve, felt fortunate because they had the financial wherewithal, social networks and medical knowledge — Patti was a nurse and a faculty member in Grand Canyon University’s College of Nursing and Health Care Professions — to care for their son through his multiple chemotherapy and radiation treatments, surgeries and a bone marrow transplant in 2000. Other kids weren’t so fortunate, and that left a mark on Jeff’s sister, Jenny, then in high school. 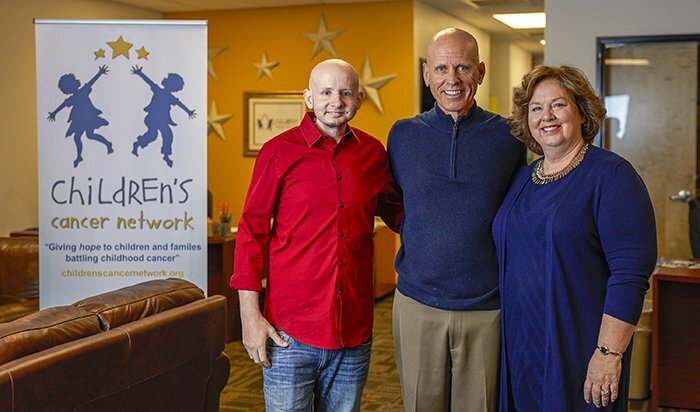 Thus was born Children’s Cancer Network (CCN), the Luttrells’ nonprofit organization. Since 2004, it has raised more than $3 million to support young cancer patients and their families in Arizona with myriad services, childhood cancer research and education for healthy children and the community. CCN launched with a $10,000 fundraiser, organized by Jenny, to buy gas and grocery gift cards for cancer-impacted families needing them. Since 2014, $238,000 in gas and food cards have been distributed to Arizona families. 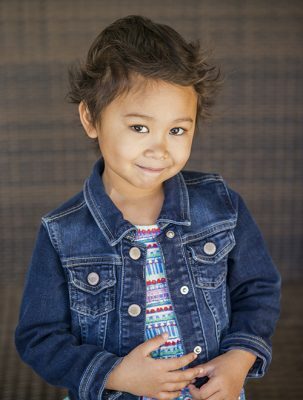 Today, CCN’s major fundraisers are Inspirations, a fashion show, luncheon and silent auction; the Tommy Bahama Sunset Golf Classic; and Run to Fight Children’s Cancer, which began at GCU, has raised more than $500,000 since 2011 in the quest to conquer pediatric cancer, and is now operated solely by CCN. “It was the right time to pass the race baton, and we know it’s in good hands,” said Debbie Accomazzo, GCU’s Community Outreach Manager. The chip-timed event, benefiting Phoenix Children’s Hospital (PCH) and CCN, is March 10 at GCU. This year’s participant medals were designed by Jeff, who has become a graphic artist. An estimated 700 families were helped by CCN in 2017, most recently at holiday parties that provided toys, clothing, basic needs, decorated trees, household items and sports equipment. An army of 400 volunteers – ranging from 11-year-old Olivia, a former Run to Fight honorary race starter, to 93-year-old Ray – wrapped the gifts, hosted lunch, did crafts and helped families forget about cancer, if only for a winter afternoon. These events, plus dozens more for children and their families, are hosted in a facility that was expanded with Run to Fight funding. However, because many patients are homebound with physical issues or low blood counts, a new program, Steps for Survivorship, will let them participate via an interactive, secure online program. Proceeds from the run also helped CCN fund a part-time family therapist position at PCH in 2017, and it will be funded for full-time this year. Free counseling for patients, siblings and parents is critical because many families’ budgets are stretched by medical costs. Cancer is the second-leading cause of death (after accidents) in children ages 1 to 14, according to the American Cancer Society. Intensive therapies used on children often lead to short- and long-term side effects, and so the Luttrells have funded research aimed at better treatments. CCN has donated $100,000 to PCH’s Center for Cancer and Blood Disorders for its project on learning the structure and function of diseased cells and developing more targeted, less debilitating therapies for young patients. Moving forward, the Luttrells are interested in funding clinical research into survivorship, a topic on which CCN hosts a free conference for survivors and their families biannually. They also will continue annual funding of an estimated 30 college scholarships for survivors who have been through so much and still have hope. HOPE — Honoring Our Peers Everyday — is CCN’s school re-entry program, which eases the way for survivors and siblings to return to school after cancer. Presentations for kindergartners through high school seniors provide knowledge and opportunities to build compassion, and 5,000 Arizona students already have been impacted through HOPE. As part of CCN’s newly executed Canyon Educational Participant agreement with GCU, managed by the University’s office of Strategic Educational Alliances, Patti was introduced to College of Education leadership and its circle of K-12 influence. “Our relationship with CCN is growing in new ways that further connect them to GCU’s five-point plan. The HOPE program is a great example of that spirit of alignment,” Accomazzo said. Jeff, who turns 30 this spring, has been dealing with cancer for 25 years, most recently with a 2013 diagnosis of tumors in his tongue. He has had multiple surgeries and radiation to treat the tumors and currently is cancer-free. As always, Jeff perseveres, figuring out again how to live with his not-so-new, at this point, normal. “Jeff guides us all with his simple words of strength and resilience,” Patti said. Cost: $30-$45. Cancer Survivors Walk is free and open to cancer survivors. Benefit: All proceeds are spent locally by Children’s Cancer Network and Phoenix Children’s Hospital to build awareness of and raise funds to conquer pediatric cancer.